‘Ne! Ne!’ means “Yes! Yes!” in Korea, an expression used when indicating enthusiasm and willingness to be helpful and friendly. What are you thinking about? 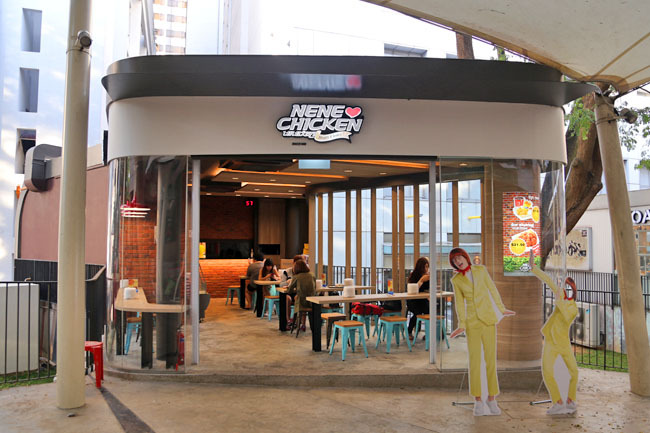 Actually, I am (or used to) be a fan of NeNe Chicken, but my main gripe about is its slow and nonchalant service, confusing menu boards, and cramped up spaces. I am a straight-forward person when it comes to fast food, and would like to see simple options of 2 or 3 piece meals for chicken, not just large sharing portions. NeNe at *Scape finally offers 2 piece meals ($7.90 with flavours or original, swicy and freaking hot), and boneless Tender Meal ($9.90 with black sesame, green onion, snowing cheese and swicy). 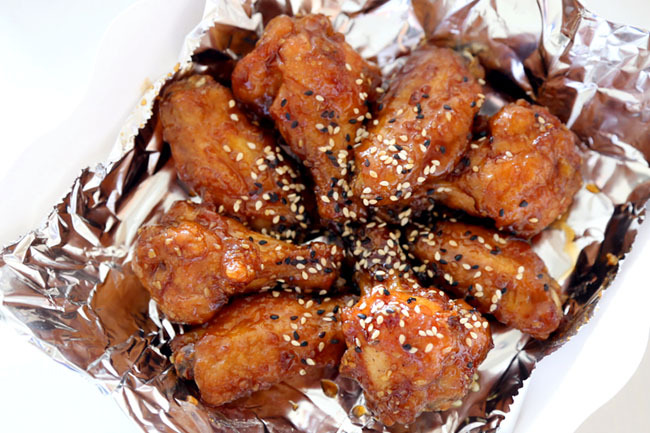 If you want to try the Bulgogi flavoured ones, they are only available as sets of 16 pieces ($21.50). This is something I don’t quite understand – why not make them part of the 2 piece set as well? 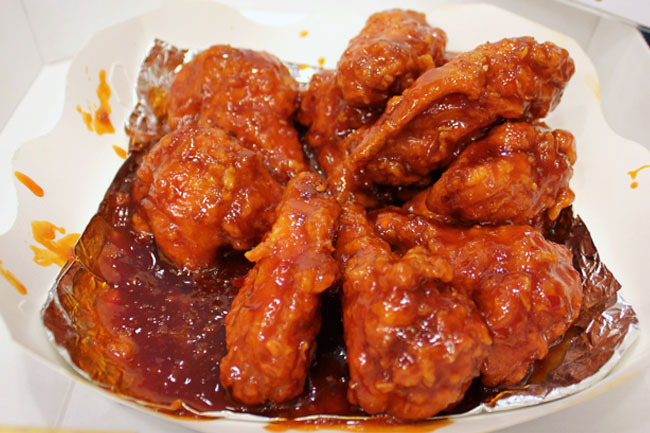 Known as the sauce-coated chicken specialist, NeNe’s Swicy (which means sweet and spicy) is one of their more popular choices. 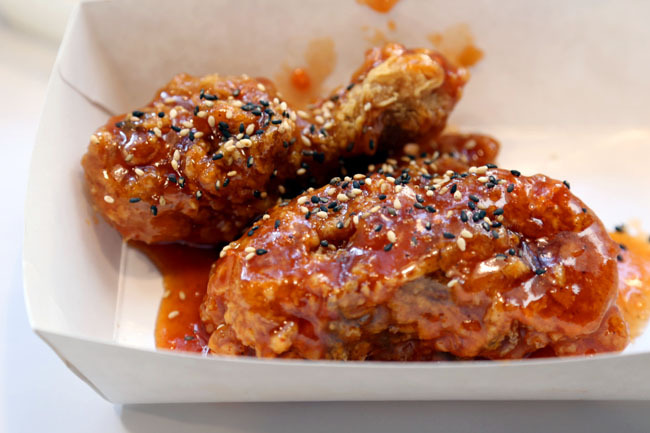 The Freaking Hot ones are actually quite addictive if you are able to take the intensity. Some of my girl friends literally teared after having two of them. What I liked about NeNe was that despite the chicken being coated with rich sauce, the skin and batter still remains rather crisp. The recent ones I had were rather disappointing, feeling mid-soggy and not so piping hot as its initial days. 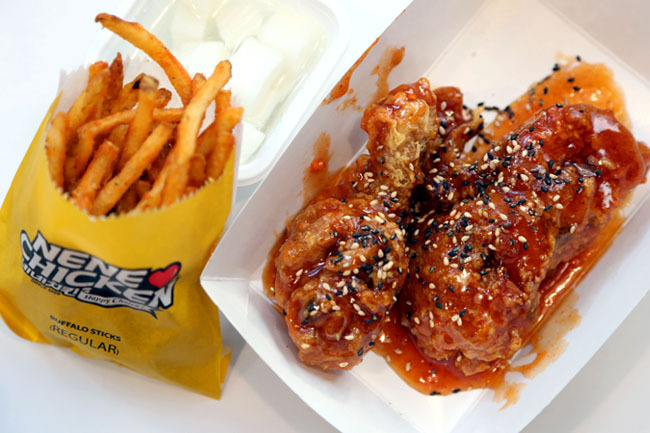 There are options that are good for sharing between 3 to 4 friends, such as the classic flavoured ones ($21.50) and boneless tenders ($23.50). And no no, there is no NeNe Pop available here. I think it’s always the case. After the hype is over, the QC will go down too. I think it taste like sweet and sour chicken for the swicy. Totally not worth it. Money better spent elsewhere. I'm glad NeNe is somewhere more accessible now. I love the super spicy one coz its super hot.